Has a long history just as Camp Beauregard dating back to World War II. Construction of the airport, originally called Camp Beauregard Army Field, for the United States Army Air Corps began in 1940. In the summer of 1940 and throughout 1941 the area was used for the Louisiana Maneuvers. The Air Corps used the airfield extensively during the maneuvers, with the 67th Observation Group stationing the 107th Observation Squadron at the airfield between 28 October 1940 and 14 December 1941. In addition, the 109th Observation Squadron used the airport from 27 February 1941 until 18 December 1942 flying light observation planes. The airfield was renamed Esler Army Airfield in 1941 to honor Lt. Wilmer Esler, a pilot who became the first casualty of the airfield when his plane crashed on April 11, 1941. 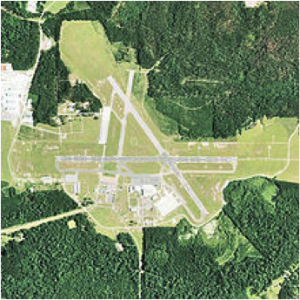 In the early ’90s, Esler Regional Airport became lifeless and quiet with an uncertain future after airport services including all scheduled passenger airline flights for central Louisiana were moved to the England Industrial Airpark and Community, the location of the former England Air Force Base which is now known as Alexandria International Airport (AEX). But the abandoned Esler presented the Louisiana National Guard with a golden opportunity to expand the area available to conduct its training. On June 1, 2001, the Rapides Parish Police Jury transferred the airport’s management to the Guard in a 99-year lease. Today, Esler is the site of numerous training exercises.